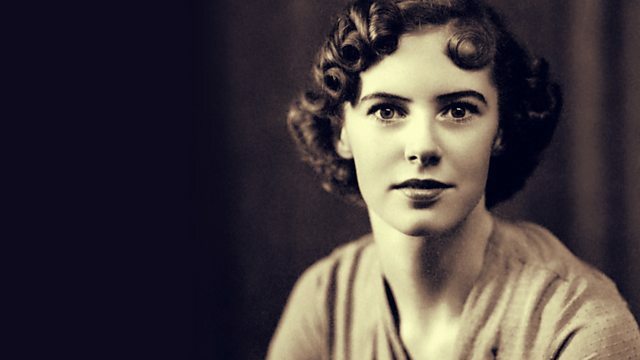 Pete Paphides tells the story behind the privately recorded songs of Molly Drake, mother of cult singer Nick Drake, and how those songs influenced her famous son. Pete Paphides tells the story behind the privately recorded songs of Molly Drake, mother of cult singer Nick Drake, and how those songs influenced her famous son who ended his own life in 1974 at the age of 30. Nick's sister Gabrielle Drake talks extensively about her mother's music and poetry and their connection with Nick's life and work. When Nick Drake's producer and mentor Joe Boyd heard the songs, he was moved to declare that, "This is the missing link in the Nick Drake story". Tracey Thorn of Everything But The Girl is also a fan of the songs of Molly and has recorded two covers of the songs specially for this programme. During the course of the interview, Gabrielle revealed that Molly Drake wrote several songs about Nick when he was a child, including The Bath Song which she quotes in the programme. Molly also penned Poor Mum in response to Nick's Poor Boy - though it is unlikely that Nick ever heard this song. Molly's is a voice rarely heard - the songs reflect her life but also chart the life of a suburban middle class mother and a lost era when people 'got on with it'. They are hauntingly evocative and Nick's melancholy is also to be heard in Molly's songs. Up until recently, it was not known that Nick's mother also wrote songs at the piano. She recorded them for private use only and, for many years, Gabrielle looked after the material. In 2004 Gabrielle put two of the songs on a posthumous Nick Drake rarities album, which got some attention from artists like Tracey Thorn, but some of the other songs have only recently been released. John Wilson explores the life of singer-songwriter Nick Drake. Part of Radio 4 on Music.